I thrive on working to make the world a better place for women. Although a graduate in Business Administration-Accounting, my true passion and dedication lie in ensuring girls around the world are provided with the guidance and resources that help them identify their true purpose and calling to reach their full potential. The international organization offers programs, workshops, camps, and conferences to empower Afro-diaspora girls through mentorship, community interaction and recreational activities. 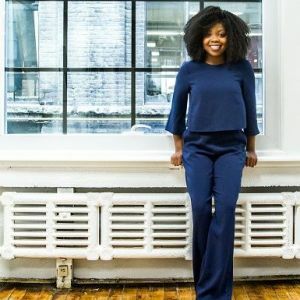 I am also the founder and CEO of DriveHER, a ride-sharing app, and a community designed for women by women. Named one of 14 Iconic Canadian Women by CBC Life, I was a 2018 RBC Women of Influence nominee and chosen as one of 150 black women who have made a place in Canadian history by the CBC project HERstory in Black.